From my experience in this industry, I’ve seen buyers try to jump straight into the decision process without all the tools and information they need. When we get together, we’ll talk about a range of topics such as how the process is supposed to go, and we’ll examine home improvements that make sense as we lay out a step-by-step game plan. Together, we’ll focus on your personal needs, goals, concerns, and time frame. Our buyer Orientation Meeting will be the most impactful 45 minutes we spend together as we start off on the right foot. I’m a huge Dave Ramsey fan (daveramsey.com). In addition to finding a price range you’re comfortable with, we’ll set a few key goals together to help make sure your purchase doesn’t become a financial burden. We’ll talk about your cash-on-hand budget for remodeling expenses the first year you’re in your home. I’ve completed over a million dollars in remodeling projects, I’ve flipped homes, and I’ve taken classes to be a certified estimator through the National Association of Home Builders. I’ll be there to help you take a critical look at properties and make sure we’re not taking on more projects than you’re comfortable with. Using our Client Connect online system, we’ll be able to carefully monitor all of the homes that come on the market that meet your criteria. Since 2015, 1 out of 6 of the homes we sold wasn’t even on the MLS. 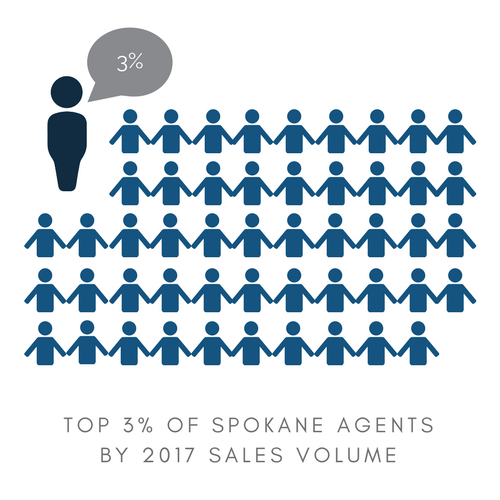 With such a shortage of inventory, we take an aggressive approach to finding homes before they hit the open market. Ask me more about how we create inventory for you! I’ve never had a client complain that their house was “too perfect.” There is more to touring homes than you may have seen on HGTV. You will be equipped with a touring checklist to help you investigate homes with purpose. Each home we tour becomes a micro class as we discuss important aspects of homes and home ownership. You’ll learn the ins and outs of roofs, basements, windows, layouts, floor plans, home maintenance and more. Once we find a home that meets your price, location, and style we dig into more details. Together we’ll research the home utilizing some of our online resources, seller’s disclosure statement, MLS History, and information gathered through the Comprehensive Loss Underwriting Exchange, and other great tools. You’ll become familiar with neighborhood trends and the history of the property. In addition to my experience professionally negotiating over a thousand contracts, I’ve taken extensive training to become a certified mediator as well. These skills and training will allow me to best represent you as I negotiate face to face with the seller and seller’s agent (based on their availability). When we’ve reached mutual acceptance and come to an agreement with the sellers of your property, I’m there to make sure the rest of the process goes smoothly. You’ll be kept abreast of all updates as we move step by step through the plan we lay out during our initial buyer orientation meeting, and adjust as we negotiate terms for your purchase. The fun doesn’t end when you get your keys, and neither does my service. Following up with my clients is a huge part of my day to day. I’ll follow up with you before, during and even after the sale to make sure everything runs smoothly. In addition to keeping you informed on the value of your investment, I’ll be there to make sure everything relating to your home and home maintenance runs smoothly. You’ll continue to have access to my business associates whenever you have a need for home improvements. If you find yourself considering a remodeling project, check with me first! I’ll be there to help make sure you are aware of the potential ROI (return on investment) and help answer any questions you may have. Each year over 300 clients attend my annual client appreciation event hosted at my home. I look forward to including you in these and other client perks, even after your purchase is complete.